Hello dear friends, my name is Kate (Twitter: @cmqkate) from Germany! Since long time I know my good friend Hassan Khader Ali (Twitter: @hassankhaderali), who is living in a small district of the Al Hudaydah Governorate in Yemen. Beside the very bad circumstances caused by war, starvation and poverty, he is suffering of a genetic disorder, called Muscle Dystrophy (MD). This disease damage and weaken his muscles over time. The MD results in the breakdown of skeletal muscles, so that it causes problems with walking, swallowing and muscle coordination. In some cases, it even leads to failure of the heart muscle and lungs, so that the affected suffocate. Since long time Hassan can't stand or walk anymore. He is not able to take care of himself or to leave the house by himself. So he lives isolated from the world outside. He is glad to have his brother, who tries to help him in everyday life as best as he can. As many people in Yemen also his family is really poor. I talked to different humanitarian organizations to get some help, but unfortunately they doesn't feel responsible for an individual case, they said. So we hope to get some support by you in any way! I created that fundraiser to support Hassan in his daily life. Until now MD is incurable. But I consulted a neurologists here in Germany and he recommended some issues we could do to improve the quality of Hassan's life. Apart from the lack of food (especially with high-protein/-calcium) and elecricity, gas for cooking, a new medical examination at a specialist (his reports are 18 yrs old), a medical diagnostic to monitor the progress of the disease and his constitution (e.g. by heart muscle and lung function test) and aid supplies (e.g. a wheel chair, hand grips inside the house), would help him. I hope we can raise enough, so that we can organize these issues for him. I would really appreciate it, if you would help me to support Hassan! The situation became worde in Yemen and he is so weak and becomes always thinner. Also because of missing good and healthy food which is rare available and even really expensive in these days. For having normal food without luxury things, like vegetables, fish or meat, he needs like 12$ daily. So every little amount you can donate would help to give him new hope despite this serious disease and also improve his quality of life as it’s possible in war! Be sure it will safely reach him! Even any other way to help him would be great and I would really appreciate that. You can always contact me or Hassan (if he has internet access) by direct message, if you have any further questions. Hi dear people and lovely donors, who are caring about Hassans well-being! We want to buy an electronic wheelchair for Hassan, so that he can get the chance to be a little bit more independed from others. The wheelchair in Yemen costs around 500-700 $. Apart of this, we still try to collect regular donations so that we can support him at least monthly with daily issues like food. Because of the increasing prices caused by war, Hassan needs around 12$ per day to get basic food. As long as there is no international organization to help him with medical treatment, as it is possible in his case, to improve his quality of life, and with regular food support, so that he can get the proteins and vitamins he urgently needs, we hope that he can count on his friends. Thank you so much for all your support of Hassan, by nice words or actions! 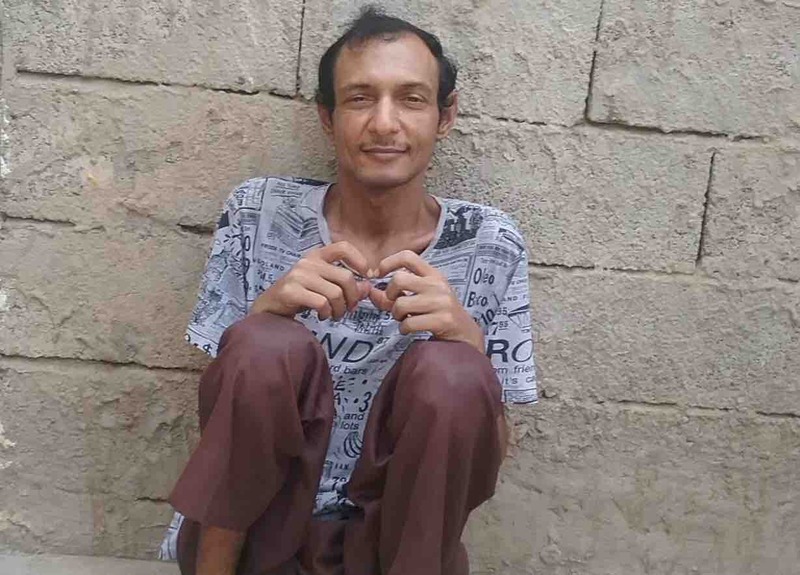 I really want to thank the kind donors from the last days, who are caring about our friend @hassankhaderali from #Yemen who has to bear his disease #MuscleDystrophy during the worst humanitarian catastrophe in the world. Thanks for making a change!